Nero, leaders in digital media technology and creators of Nero Digital, now have software that allows users to play back personal video on the Sony PlayStation Portable (PSP) via converted video files transferred to a memory stick. The guide is pretty simple. It was emailed to us with the request that we consider it for editorial coverage. We have kept the original pictures taken but the text has been slightly changed to fit the AfterDawn layout. Nero Recode - This will do most of the work for you. PSP with MemoryStick - The memory stick will store the files. Insert the MemoryStick into the PSP device and then connect it to the computer via a USB connection. Turn on the PSP and start the USB connection in the configuration menu. Nero Recode will transfer the encoded files straight to the PSP when it is finished processing them. 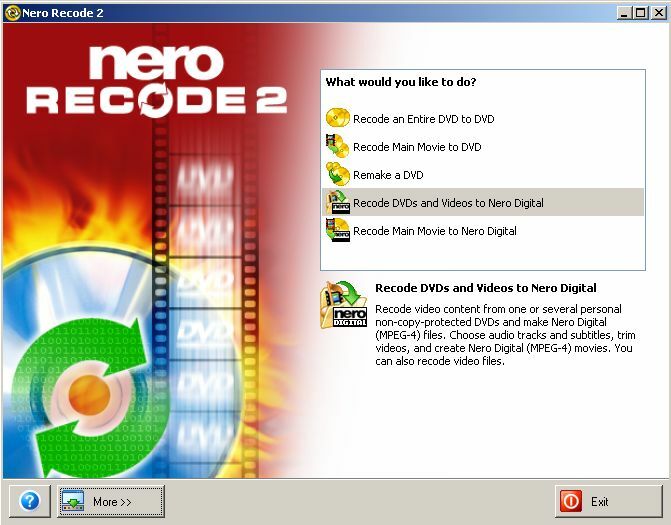 Launch Nero Recode and choose one of the two options to create Nero Digital files (“Recode DVDs and Videos to Nero Digital" or “Recode Main Movie to Nero Digital"). 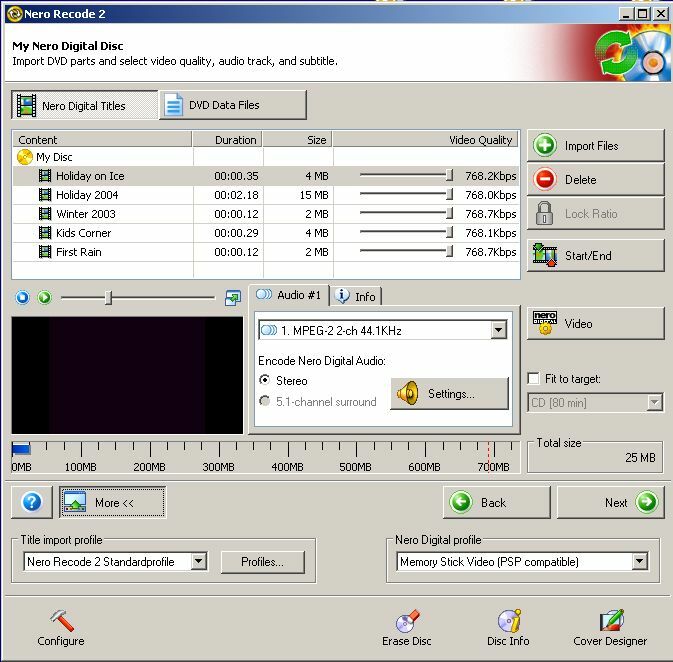 Add the content you want to convert to your PSP and select the Nero Digital profile "Memory Stick Video (PSP(R) compatible)". With the Video button it is now possible to create thumbnails from the exported videos for each title. This is supported by the PSP. Click on the Burn button. The file will now be encoded in a PSP compatible Nero Digital (TM) file format and transferred to the proper location on the PSP. On the PSP, stop the USB connection and go to the movie section. There you will find your movie. Nero Recode has made the steps of watching your video files on your PSP very easy. This guide should have been easy enough to follow. If you have any problems, please use our Discussion Forums for support.